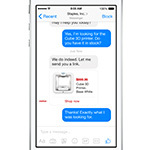 "Staples customers are increasingly turning to Messenger to interact with our brand, and by adding these capabilities, we’re making it easier for them to connect with us and keep tabs on their order whenever and wherever they want"
FRAMINGHAM, Mass.--(BUSINESS WIRE)--In conjunction with F8, Facebook's annual global developer conference, Staples, Inc. (Nasdaq: SPLS) announced today that it has enabled Facebook Messenger functionalities on its mobile website, allowing customers to use Messenger to enhance their shopping session. 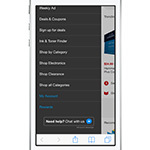 After signing up to connect on Messenger, m.Staples.com customers will have the ability to chat with sales specialists and customer service to get shopping assistance and post-sales support, with quick responses to their questions. 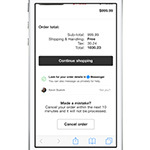 Customers would also be able to opt-in to receive personalized updates, like order confirmation and shipment notifications, directly in Messenger. 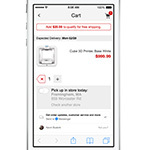 The features are only available on Staples’ mobile website to begin with, but will be rolled out to tablet and desktop users in the coming months. With Staples on Messenger, all customers’ interactions and order information will be in one place, and they can ask questions or make necessary changes with their interactions being handled by Staples’ chat team. Staples’ eCommerce team has enabled the Messenger Platform integration with its mobile website in partnership with Powerfront, a cloud-based customer engagement platform that enables brands to target and engage customers on their website for revenue generation. Staples Business Advantage, the business-to-business division of Staples, Inc., helps mid-market, commercial and enterprise-sized customers make more happen by offering a curated assortment of products and services combined with deep expertise, best-in-class customer service, competitive pricing and state-of-the art ecommerce site. 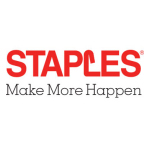 Staples Business Advantage is the one-source solution for all things businesses need to succeed, including office supplies, facilities cleaning and maintenance, breakroom snacks and beverages, technology, furniture, interior design and Print & Marketing Services. Headquartered outside of Boston, Staples, Inc. operates throughout North and South America, Europe, Asia, Australia and New Zealand. 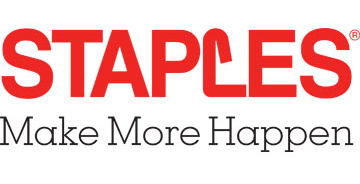 More information about Staples (NASDAQ: SPLS) is available at www.staples.com.